For the city bearing the same name see Quebec City. Quebec  (French: Québec) is a province located in eastern Canada, the largest in size and second only to Ontario in population. Predominantly French-speaking (French being the provincial government's official language), Quebec is situated east of Ontario; to the west of Newfoundland and Labrador, New Brunswick, Nova Scotia and Prince Edward Island; to the south of the territory of Nunavut, and finally bordering the U.S. States of New York, Vermont, New Hampshire and Maine to its south. The provincial capital of Quebec is Quebec City, the province's largest city is Montreal, the second largest city in Canada. Quebec is unique among North American tourist destinations. Its French heritage does not only set the province apart from most of its English speaking neighbors, it is also one of the few historical areas in North America to have fully preserved its Francophone culture. Its European feel and its history, culture and warmth have made Quebec a favourite tourist destination both nationally and internationally. The Quebec side of the Ottawa River with mountains, forests and plenty of outdoors activities. Gatineau, as part of the National Capital Region, has many fine museums. The culturally rich and lively city of Montreal plus its suburbs. South of the St. Lawrence River, there are small towns, farmland, lakes and hills. Parts of the area were settled by Loyalists from the American Revolution giving the area a bit of a New England feel. The mountains north of the river are Montreal's playground. This is the heartland of Quebec. 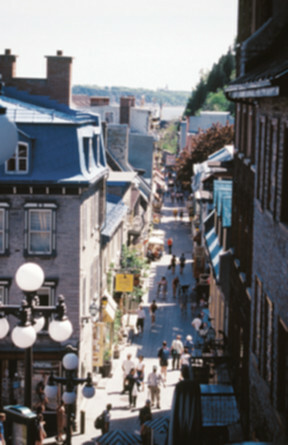 Quebec City is the capital of the province with a European feel and charming Old Town. To the southwest is the prime agricultural region of the province. A very distinctive region of Quebec with its own culture, accent, and mountainous geography. The region is highlighted by one of the few fjords on the east coast of Canada. The rugged coastal region of Quebec east of Quebec City and south of the St. Lawrence River with small towns and villages hugging the coast. The Gaspé is considered particularly scenic. The rugged coastal region northeast of the Saguenay River on the north shore of the St. Lawrence River, famous for whale watching. 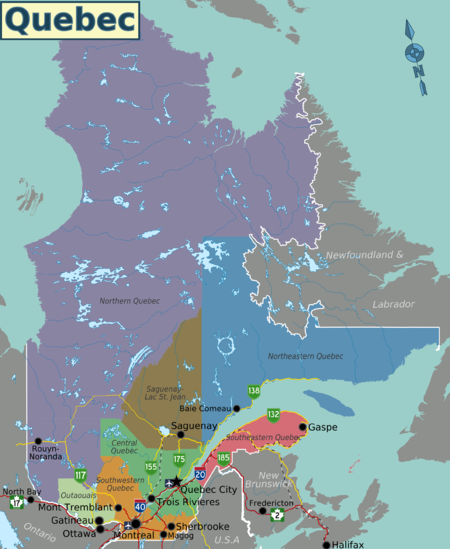 The sparsely inhabited north and northwestern region of the province, with logging and mining towns and hydro electric projects, as well as Inuit and other Native communities. The three largest cities in Québec are Montréal, Québec City and Gatineau. Montreal - Quebec's largest city and cultural and financial center. Quebec City - Capital city of Quebec and cultural center. Mont-Tremblant - Skiing, camping, and hiking at this mountain resort town. Gaspé - Small city on the ruggedly beautiful peninsula of the same name. Gatineau - All the advantages of a big city without the inconveniences. Just outside Ottawa. Saguenay - Gateway to the North. Sherbrooke - Largest city in the Eastern Townships. Trois-Rivières - Located halfway between Montreal and Quebec City on the St Laurent River. Québec was a French colony for more than two centuries, between the arrival of Jacques Cartier in 1534 and Governor Vaudreuil’s capitulation to the English in 1760. It is the only province in Canada where French is the sole official language, and it is one of the rare former French colonies in North America where French is still spoken. Québec is Canada’s second most populous province. It has 8 million inhabitants, including 6.4 million (approx. 80%) whose mother tongue is French. French is the mother tongue of 82% of Quebecers, and English is the mother tongue of 10% of the population. The remaining 8% is divided among some 30 languages such as, in order of importance, Italian, Spanish, Arabic, Chinese and Greek. However, it is very easy to travel in Québec speaking only English, especially in Montreal, and to a lesser extent, Quebec City. In fact, over 40% of the population is bilingual. In major cities like Montréal, this percentage is as high as 64%, and 16% of the population speaks a third language. The majority of the population lives in the vicinity of the St. Lawrence River, in the southern portion of the province. The population is largely urbanized; close to 50% of Quebecers live in the metropolitan area of Montréal. There are four distinct seasons in Québec—spring, summer, fall and winter offering a wonderful view of the nature and variety of activities. Summer (end of June to end of August): Summers in Québec are hot but the season offers many festivals and outdoor activities. 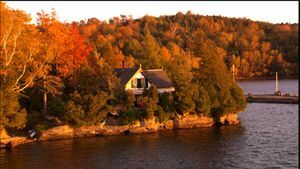 Fall (September to end of October): The leaves change color in Québec, creating breathtakingly colorful landscapes. Winter (November to end of March): Québec’s extremely low temperatures and abundance of snowfall makes skiing, snowboarding, tobogganing, snowmobiling and dogsledding possible. In December, Québec’s vast outdoors turns into a snow-covered white dreamland. February marks the maple syrup festivities in the sugar shacks, as the maple trees awaken from the winter cold and prepare for the forthcoming springtime. Spring (April to end of June): While April may still be relatively cold at times and another large snowfall can occur, April feels like winter is at, long last, over. As May approaches, nature awakens, trees start to bloom and the air warms, welcoming everybody to a magnificent, colorful outdoor scenery. Canada is officially bilingual on the federal level, meaning that most federal government official documents, signs, and tourist information will be presented in both French and English. Staff at retail shops, restaurants and tourist attractions will often speak English, especially in Montreal. Smaller establishments, especially outside Montreal, may not offer services in English but try their best to accommodate travelers. About 8% of the province's residents speak English as a mother tongue, and an additional 31% consider that they can get by speaking it. The official language of Quebec, however, is French. Provincial government signs (highway signs, government buildings, hospitals, etc.) are generally posted in French only. Tourist information is offered in English and other languages. The visibility of commercial signs and billboards in English and other languages is restricted by law (except for English-language media and cultural venues such as theatres, cinemas and bookstores). Most businesses will not have signs in English except in tourist areas and localities with a large English-speaking population. Language is a very sensitive subject politically, particularly in Montreal. If you cannot read a sign in a store or restaurant, most sales people will be sympathetic and help you find your way. Most restaurants in tourist areas will supply English menus if asked. 82% of Quebec’s population is francophone, but English is also commonly spoken, particularly in the province’s major cities such as Montréal where the percentage is 24%. For French-speaking people from elsewhere, the French spoken in Quebec is often difficult to understand for French people from France. Books have been published on Quebec expressions, and these may be worth consulting if you are planning to stay in Quebec for any length of time. Isolated from France for centuries, and unaffected by that country's 19th-century language standardization, Quebec has developed its own accent of French similar to the one in France in the 16th century, a kind of time capsule. The continental variety--called "international French" or français international here--is well-understood, and something closely approximating it is spoken by broadcasters and many businesspeople. While Quebecers usually understand European French, European tourists may feel lost until they grow accustomed to the local accent(s). There are a few main differences between Quebec French and European French. One is that in Quebec it's relatively common to tutoyer (use the familiar tu second-person pronoun instead of vous when saying you) for all, regardless of age or status (though there are common exceptions to this in the workplace and the classroom). In France, it would be considered impolite. The unrelated interrogative particle -tu is used to form yes-or-no questions, as in On y va-tu? "Shall we go?" Finally, there are a number of vocabulary words that differ, particularly in very informal contexts (for example, un char for a car, rather than une voiture or une auto), and some common expressions (C'est beau [literally It's nice] for "OK" or "fine"). Overall, however, pronunciation marks the most significant difference between Quebec French and European French. For example, the word pas is pronounced "paw", the word fête is pronounced "fight" etc. Probably the most puzzling difference in Quebec's French is that one will often sacrer (blaspheme or swear) rather than using scatological or sexual curse words. Terms like baptême (baptism) or viarge (deformation of vierge, virgin) have become slangy and taboo over the centuries in this once fervently Catholic culture. Hostie de tabarnac! ("communion wafer of the tabernacle!") or just tabarnak! is one of the most obscene things to say, and more polite versions like tabarnouche or tabarouette are equivalent to "darn" or "fudge!" Although sacre may seem funny, be assured that Quebeckers, particularly the older generation, do take it seriously. Don't sacre any time you don't really mean it! But be sure that younger Quebeckers may be fond of teaching you a little sacrage lesson if you ask them. English-speaking Quebeckers are generally bilingual and reside mostly in the Montreal area, where 25% of the population speaks English at home. Aside from the occasional borrowing of local French terms ("dépanneur" as opposed to corner store or convenience store), their English differs little from standard Canadian English, including the occasional "eh" at the end of the sentence; accents are influenced heavily by ethnicity, with distinct Irish, Italian, Jewish, and Greek inflections heard in Montreal neighborhoods. Conversations between anglophones and francophones often slip unconsciously between English and French as a mutual show of respect. This can be confusing if you're not bilingual, and a look of puzzlement will generally signal a switch back to a language everyone can understand. Although English-speakers will usually greet strangers in French, it is considered pretentious and overzealous for a native English-speaker to continue a conversation in French with other English speakers (though two francophones will easily converse together in English when in a room of anglophones). Local English-speakers may also refer to street names by their English names as oppose to the posted French names, but this is getting rarer (for example, Mountain Street for rue de la Montagne, Pine Avenue for avenue des Pins). Some French-language radio stations, including those with classic rock formats may play English language music. There are flights to Québec from major cities in North America, Europe and Asia. Montréal is a 70-minute flight from New York and is less than 6 hours and 45 minutes by air from London or Paris. Quebec has two major international airports: Montréal's Trudeau International Airport, which has direct flights to most major Canadian, Mexican and U.S. cities as well as selected European destinations (including daily flights to Paris, London and Frankfurt), is located in the suburb of Dorval, about 30 minutes from downtown. Quebec City's Jean Lesage Aiport is much smaller but also serves several Canadian and US destinations (including Toronto, New York (Newark), Chicago and Detroit), as well as Paris (Air France and Air Transat). Jean Lesage Airport is located in L'Ancienne-Lorette, about 25 minutes drive west of downtown Quebec City. Montreal's former Mirabel International Airport is no longer in use. The days when immigrants arrived in Québec by boat are long over, but visitors with a bit of time can enjoy any one of the many cruises available along the St. Lawrence River. Numerous cruise lines offer routes that sail the Saint Lawrence . Cruise companies include these routes in their Canada & New England destinations. The port of embarkation and debarkation for most of these itineraries are New York, Boston, Montréal and Québec City. Depending on the individual cruise, their itineraries include stops in Montréal, Québec City, Trois-Rivières, Saguenay, Baie-Comeau, Havre-Saint-Pierre, Sept-Îles, the Gaspésie, and the Îles de la Madeleine. C.T.M.A. operates a daily cruise-ferry during the summer (and less frequently at other times of the year) from Souris, P.E.I. to Cap-aux-Meules, Qué. Labrador Marine  operates up to three ferries daily (no service January through April) from St. Barbe, Nfld. to Blanc-Sablon, Qué. From the US, the Amtrak  "Adirondack" runs from New York City once a day, with stops connecting to bus routes serving upstate New York, terminating in Montreal. The trip is a scenic 6 hours along the Hudson River, but be prepared for delays at the border that can range from 30 minutes to 3 hours. VIA Rail Canada (), the federal passenger railway, operates numerous trains daily from both Toronto and Ottawa to Montréal, with multiple connections to Québec City. They also run a daily train from Halifax, Nova Scotia, stopping in Moncton, New Brunswick into Montréal. A more scenic route follows the Gaspe Peninsula. Significant discounts are available to youths and to university students carrying as ISIC Card (International Student Identity Card). Tshiuetin Rail Transportation operates two trains weekly from western Labrador (Newfoundland) to Sept-Îles, Qué. and Schefferville, Qué. Adirondack Trailways  and Greyhound Lines  operate frequent motorcoach service from New York. Vermont Transit  and Greyhound Lines  operate frequent motorcoach service from Boston. Coach Canada  operates frequent motorcoach service from Toronto into Montréal. Voyageur , an affiliate of Greyhound Canada , operates hourly motorcoach service from Ottawa into Montréal. There is also limited transportation service from Ottawa into Grand-Remous, Que. via Voyageur , as well as from North Bay, Ontario. into Rouyn-Noranda via Autobus Maheux . For more structured bus trips around the central and east coast region, there is also Out Here Travel  a backpacker focused hybrid bus transport / tour company which picks up passengers in the Laurentians and Montreal. From Toronto, there is only one option: highway 401 (six hours by car). From the United States, visitors can arrive from New York City (six hours by car), or from multiple points of entry in Vermont, New Hampshire and Maine. Acadian Lines  operates two trips daily by motorcoach from Halifax, N.S. and Moncton, N.B. into Rivières-du-Loup, Qué., and then continuing onward to Québec, Qué. and Montréal, Qué. Orléans Express  operates two trips daily by motorcoach from Campbellton, N.B. into Rimouski, Qué., and then continuing onward to Québec, Qué. and Montréal, Qué. Québec has a vast road and air network that makes it easy to travel between cities. You can travel by car, bus, plane, train, bike or boat . Using air transportation to travel between the different cities in Québec is not recommended. But air travel is indispensable for getting around northern Québec (except for the Baie-James region, which is served by a paved highway), because there are no highways or railways serving these remote areas. VIA Rail Canada (www.viarail.ca) is Quebec's only intercity passenger train carrier, while AMT (www.amt.qc.ca) runs Montreal's commuter trains to the suburbs. Trains run infrequently (compared to Europe). Tickets are typically far cheaper in advance than on day-of sales. There are no high-speed trains in Quebec. Busses are usually cheaper, with more daily connections. Note however that east of Quebec City, the main Via train (Ocean) is very rickety all the way to New Brunswick, and may lurch frequently at night. It is recommended to bring Gravol (anti-nausea medication) if travelling on this train. The main way to travel between cities is by bus. The bus network is very well developed, particularly for connections between Québec City-Montréal, Ottawa-Montréal and Toronto-Montréal. Montreal's main bus station is located at 505 De Maisonneuve East. Buying tickets and making seat reservations is a good idea, particularly for Friday evening or holiday travel, but same day ticket purchase is also possible. Renting a car and driving around Canada poses no particular problem, even in the cities. However, it is best to arrange the rental from where you are coming. Read the rental contract carefully, particularly the section on insurance. Often, you can rent a car in one city and return it in another without prohibitive costs. Car rental companies are Discount  (Montréal and the province of Québec), ViaRoute  (Montréal and the province of Québec), Viau  (Montréal), Enterprise . Québec has a good network of toll-free highways connecting all the main cities and surrounding areas. In Québec, the highway speed limit is 100 km/h, with the speed of traffic generally being 120 km/h on the highway. Drivers should be aware that on the Island of Montréal, one cannot turn right on a red light. Many urban areas also have restrictive signs on intersections in this regard. Police enforcement is rather rare. Radar traps, however, are not uncommon on major highways during highly-travelled weekends. In most towns and cities, you'll sometimes encounter speed traps in school zones but they are not very common. A result of the police's slim presence is that Quebec drivers are rather undisciplined as they know that they are unlikely to get caught for most traffic violations. The Québec highway code is similar to that practiced in most of Europe. A couple of differences are that traffic lights are often located across the intersection, not at the side, and you are not allowed to turn right at a red traffic light on the Island of Montréal or where otherwise indicated. At stop signs, every one advances in turn, based on the order in which the cars arrived at the stop sign. Roundabouts are very rare. Most road signs are easy to figure out. Still, if you plan to drive in Quebec, you should take a few minutes to study sample signs online and memorize the meanings of the few words which aren't self-explanatory. One oddity of Quebec signage is at intersections, where the default signage practice is to indicate with arrows bounded by green circles what movements you may do, as opposed to the rest of Canada, where arrows with red circles around them indicate what movements you may not do. In other words, if that arrow in a green circle points straight ahead and also has a branching arrow pointing left, but not one pointing right, it means you can't turn right, but you can go straight or turn left. When you come to an intersection in many cities, you may often be uncertain as to which lane you are authorized to use for left or right turns. While it is customary in many countries to display such information on signs placed on traffic lights, Quebec often displays it using arrows painted on the ground. As a rule, only the leftmost lane allows for left turns and the rightmost lane allows right turns but there are exceptions at some large intersections. Be on the lookout as many locals do not obey these rules; this is especially true when there is relatively heavy traffic, some drivers wanting to get ahead and others following suit. Québec’s regions boast an impressive network of bicycle paths, totalling more than 3,400 km (2,111 mi). This means you can visit several regions by bicycle and find local accommodations near the bike paths (Route verte ). Numerous cruises are also available on the St. Lawrence River, one of the world’s biggest waterways . For people travelling in small groups and wanting to keep their costs down, Pop Rideshare  and AmigoExpress  are a great alternative to any of the transportation methods mentioned above. AmigoExpress is a ride-sharing networks serving Québec’s major cities, while Pop Rideshare covers British Columbia, Ontario and Québec. To access these services, simply register online, pay the small membership fee (for example, AmigoExpress is $7.50, while Pop Rideshare has no membership fee), and create a profile. AmigoExpress even has a free membership for students. Then you can reserve your spot in a car belonging to someone who is travelling to the same destination as you—sometimes for up to half the price of the bus. AmigoExpress charges you a fixed $5.00 fee for every ride you book, while Pop Rideshare has a 15% fee (a ride at $15.00 would cost $17.25 while a ride at $20.00 would cost $23.00). The only inconvenience with this system is that it doesn’t serve every city, so some areas are not accessible using this method. The advantage of ridesharing is that you can arrange pickup of dropoff location with your driver, but a bus may not be able to drop at a certain town or exit on the way. Québec’s winding, scenic secondary roads are ideal for a motorcycle ride. However, in southern Québec, the best season for travelling by motorcycle is limited to between May and October. In remote areas, the nicest season is two months shorter than that, running from June to September. In the last few years, taking to Québec’s roads by motorcycle has become increasingly popular. The province boasts several motorcycle clubs , and visiting tourists can rent motorcycles. Québec’s motorcyclists share a special fraternity and team spirit. If your motorcycle breaks down, you certainly won’t remain stranded on the roadside for long before another motorcyclist stops to help. So don’t be surprised to see other motorcyclists wave to you on the road or spontaneously engage in conversation at a rest stop. VIA Rail  offers train service along the St. Lawrence river, up the Saguenay and in the Gaspé Peninsula. Within cities, public transit tends to be good by North American standards, though showing the signs of funding cuts in recent years. "La route verte"  comprises 3,600 kilometres of bikeways linking the various regions of Québec. Provincial Parks, . Quebec has 22 provincial parks (known as National parks in French and in official English documentation). They vary from smallish, easily accessible preserves to massive tracts of remote near-wildnerness and everything in between. Québec offers many activities including sports and outdoor recreation, cultural and natural sites, festivals and events. Québec has a number of sites and attractions. Cruises: Québec offers a variety of cruises, whether for whale watching, travelling the St. Lawrence River or touring the waterways. Gardens: the Montréal Botanical Garden, the Insectarium, Reford Gardens and the international garden festival in Gaspésie are among Québec’s garden attractions. Museums: Québec has over 400 museums. Religious heritage: St. Joseph’s Oratory, the Basilique Notre-Dame-de-Québec. Quebecers are known for their festive spirit and taste for celebration. 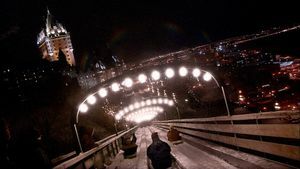 This explains the close to 400 festivals held each year in Québec. . Québec’s events are varied, from sports to cultural events and festivals, and attract visitors from around the world. For all Québec events and festivals, check here: . Montréal International Jazz Festival : With over 500 concerts, 350 of them presented free outdoors, the Montréal International Jazz Festival features the top Canadian and international ambassadors of jazz (end of June to beginning of July). Just For Laughs Festival : Montréal’s Just For Laughs Festival is the largest comedy festival in the world and attracts over 2 million spectators each year (July). Francofolies de Montréal : The largest Francophone music festival, the Francofolies de Montréal features over 1,000 artists, singing stars, musicians and emerging talent from some 20 countries around the world (end of July to beginning of August). Les Concerts Loto-Québec de l'OSM dans les Parcs : These three concerts by the Orchestre Symphonique de Montréal (OSM) are presented in Montréal parks in a family atmosphere (June and July). L'International des Feux Loto-Québec : The International des Feux Loto-Québec presented at La Ronde draws the largest pyrotechnics companies from around the world. Each show lasts 30 minutes, and the fireworks competition is the most prestigious and largest in the world (every Wednesday and Saturday evening from the end of June to the end of July). 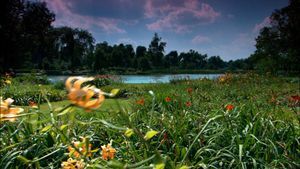 International Flora/Le festival de jardins de Montréal : The International Flora lets you visit the loveliest gardens on the festival site itself (end of June to beginning of September). Festival international Nuits d'Afrique : The international-calibre Festival Nuits d'Afrique features music from Africa, the West Indies and the Caribbean, along with workshops, an African market and exotic cuisine (month of July). Québec City Summer Festival : For 40 years, the Québec City Summer Festival has been presenting hundreds of artists from around the world on ten sites around the capital, all easily accessible on foot (beginning of July). Loto-Québec International Fireworks Competition : This international musical fireworks competition takes place at the Montmorency Falls (end of July to beginning of August). Plein Art Québec : Over 100 craftspeople gather at the Plein Art Québec festival to exhibit Québec arts and craft creations in ceramics, textile and jewellery (beginning of August). SAQ New France Festival : A celebration of the history of the first Europeans to arrive in North America, the New France Festival presents over 1,000 artistic events every year in a journey back to the past in the heart of Old Québec (beginning of August). Quebec City International Festival of Military Bands : Since 1998, the Quebec City International Festival of Military Bands is the place to go at the end of August if we like Military Music. Bands from Canada and also from all around the world arrive in Quebec City every year to offer spectacular performances. Quebec City Winter Carnival  is the biggest winter carnival in the world. The festival typically starts on the last Friday of January or the first Friday of February and it continues for 17 days, usually with close to one million participants every year. Gatineau Hot Air Balloon Festival : One of the most popular events in Eastern Canada, the Gatineau Hot Air Balloon Festival features hot air balloons and shows (beginning of September). Casino du Lac-Leamy Sound of Light : The Casino du Lac-Leamy Sound of Light is a competition that crowns the champion of the international circuit of musical fireworks competitions over water (end of July to beginning of August). Minor League Hockey From the smallest towns to the smaller cities to Quebec City and Montreal, from September to April, minor league hockey is a great way to be entertained for an evening while experiencing local culture and seeing the local community on the town. Often the crowd (sometimes with lots of visiting fans bused in) is more entertaining than the game! Tickets usually range from $10-20, and leagues range from the high calibre QMJHL that is the stepping stone to professional hockey to leagues such as the LNAH, which encourages fighting. Canadian Grand Prix is the annual Formula One race in Montreal, during the city's busiest tourist weekend (usually early June). Rogers Cup : For tennis fans, the Rogers Cup is one of nine Association of Tennis Professionals tournaments on the Masters circuit (beginning of August). The Presidents Cup : A prestigious golf tournament, the Presidents Cup presents the best international players at The Royal Montréal Golf Club (end of September). Montréal Bike Fest : A number of cycling activities take place during the Montréal Bike Fest including the Tour de l'île de Montréal, the largest gathering of cyclists in North America (end of May to beginning of June). 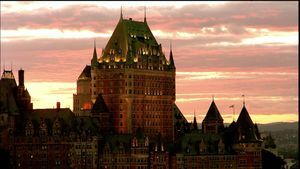 To truly get a feel for the authentic Québec, take one or several of the tourist routes that run alongside the St. Lawrence or criss-cross the countryside not far from the major axial highways. Clearly indicated by a series of blue signs, these routes are designed to showcase the cultural and natural treasures of their respective regions. 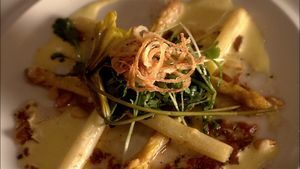 Québec’s cuisine derives its rich flavour from a blend of influences. It has a solid French culinary base and is enriched by the contribution of the Amerindian peoples and the different cultural communities that have made the province their home. This blend of culinary cultures is what makes Québec cuisine what it is today. Many quality regional products are also used in its cuisine. Terroir products that grace Québec tables include ice cider, micro-brewed beer, wine and over 100 different varieties of cheese. Another unique feature of Québec is the sugar shack (cabane à sucre), a family culinary tradition of eating maple products to the rhythms of Québec folklore. You can go as a group at the beginning of spring, during March and April. Most sugar bushes also sell maple products on site (maple butter, taffy and syrup) at very attractive prices. If this formula interests you, be sure to reserve in advance, and—in true tradition—go in as large a group as possible. It’s customary for several families to go together, but there’s no obligation to do so, particularly seeing as people rarely travel in groups of 50! Certain sugar bushes are open year round. Others Québec culinary specialities include: shepherd’s pie, poutine, sugar pie, pouding chômeur (a sponge cake with a maple syrup sauce), maple syrup, baked beans, tourtière (a meat pie), cretons (a pork spread with onions and spices), etc. Maple syrup (French: sirop d'érable) is the sticky, drippy giant on Quebec's culinary landscape. Boiled down from sap of the maple tree in sugar shacks (cabanes à sucre) around the province, it's got a more tangy flavor than the corn-based pancake syrup you may be used to. Different types of candies are obtained by pushing the boiling process further and are popular gifts during springtime. Also don't miss taffy-on-the-snow (tire sur neige). In Quebec, the syrup is used for more than just pancakes, though. You can find it as a glaze for pork and beef, mixed in with baked beans (fèves au lard), or in desserts like pouding chômeur ("welfare cake") or tarte au sucre (sugar pie). It's also made into loose sugar and candies. Syrup is on sale practically anywhere you want to go, but if you really want to take some home, stop into a farmer's market or a grocery store rather than a tourist shop. You can get the same high-quality syrup as at the souvenir stand for about half the price. Syrup comes in several grades varying from light to dark, withe lighter grades being used more often for direct consumption while darker grade are often used for cooking or for the food industry. Medium grades are the most popular as they offer a stronger maple taste than the lighter grades while not being too strong. Also, know that production is tightly controlled: any syrup sold in Quebec has a guaranteed 66% sugar content and has been evaluated for quality. No visit to Quebec is complete without at least one plate of poutine. This unique dish is a plate of French fries, drowned in gravy, and topped with chewy white cheddar cheese curds . There are variations on the theme -- adding chicken, beef, vegetables or sausage, or replacing the gravy with tomato meat sauce (poutine italienne). Poutine can be found in practically any fast-food chain restaurant in Quebec, but higher-quality fare can be found at more specialized poutine shops. Local restaurant chains are your best bet. One great spot for trying out poutine is Ashton (in the Québec City area), where, in January only, you will get a discount based on the outdoor temperature (the colder it is outside, the cheaper the poutine!). The origin of poutine is still under debate, but it was first served in Drummondville in 1964, at the Roy Jucep restaurant owned by Mr. Roy. Since then, the surrounding areas have been trying to lay claim to its creation. For the best poutine in the area, ask the locals. Befitting the province's sub-arctic climate, Quebecois cuisine favors rich, hot foods with more calories than you want to know about. Tourtière du Lac-Saint-Jean for instance is a deep-dish pie, typically from the Saguenay-Lac-St-Jean region, made of various meats (usually beef and pork, often including game, cut into small cubes) and diced potatoes, baked together in a flakey pastry shell. Prices are marked without tax (unless otherwise indicated). At the cash register, a 5% goods and services tax (GST – federal tax) and a 9.975% provincial sales tax (QST), i.e. 14.975%, will be added to the marked price. Certain items are not taxed at the same rate. This is the case with most foods, which are best bought in quantities of six when sold individually (otherwise, they are considered immediate consumption and taxed). Since April 2007, tourists can no longer obtain reimbursement of the QST. Tipping: Like elsewhere in North America, servers in restaurants and bars earn only a modest salary. This is why tipping is systematic when ordering in bars or restaurants (tipping does not apply to take-out food). A tip should be about 15% of the pre-tax price. Tips also apply to taxis, drinking establishments, restaurants and hair salons. Alcohol and tobacco: Alcoholic drinks and cigarettes are subject to specific taxes. Wines and spirits are particularly expensive: up to three times the European price for French wine, for instance (and 50% more when ordering a bottle of wine in a restaurant, hence the appeal of the “bring your own wine” formula). It is advisable to buy local wines, which are very comparable to French wines and less expensive. Cigarettes cost between $7 and $9.50 a pack (a pack contains 25 cigarettes). Canadian cigarettes have quite a different taste than U.S. or French brands. Keep in mind, though, that since May 31, 2006, smoking is prohibited in all public places in Québec, including bars, restaurants and theatres. Legal drinking age in Quebec is 18. Quebecers’ favourite alcohol is beer given the high taxes on wine. The province boasts several very good microbreweries. Here is a list of the best brew pubs in Québec by region. In Montréal, there is Dieu du Ciel!, L’Amère à Boire, Le Cheval Blanc and Brutopia. In Québec City, there is La Barberie and L'Inox. One of the best is Le Broumont in Bromont, near the foot of the ski hill. If you visit Sherbrooke, be sure to stop in at the Mare au Diable. In the Mauricie region, there is Le Trou du Diable (Shawinigan) and Gambrinus (Trois-Rivières). For anyone wishing to visit the stunning Charlevoix region, there is the Charlevoix microbrewery in Baie St-Paul. Liquor and wine are sold mainly at Société des alcools du Québec (SAQ) stores, but beer and wine (often of a lesser quality) can also be found at supermarkets and convenience stores. In the country, good quality wine and liquor can be found at the grocery store. The sale of alcohol is prohibited after 11:00 p.m. at convenience stores and supermarkets, and may not be sold to anyone under the age of 18. Bars are open until 3:00 a.m. (except in Gatineau where they close at 2:00 a.m. to avoid an influx of partiers when the bars close in Ottawa). Beer and a so-so selection of wine are available at most grocery stores and depanneurs (corner markets), but by law distilled spirits are only available at provincial stores called the SAQ  (pronounced "ess-ay-cue" or "sack"). The SAQ also has a higher-quality selection of wine, mostly European, Australian, or South American-- there's a peculiar blind spot for California vintages. Canadian wines are woefully difficult to find even in the largest SAQs, unlike in neighbouring Ontario. Although closing time in bars is 3AM, most SAQs close between 6 and 9PM (some Express SAQ may close at 10 or 11PM) , and sales of other alcohol are banned after 11PM. Quebec is blessed with some of the finest beers on the North American continent. As in the rest of Canada, they are higher-proof than in the US; alcohol content starts around 5-6% but 8-12% is not unusual. If you are coming from Ontario late at night hoping to buy some beer, best to save your gas money and remain in Ontario because the sale of alcohol is also prohibited after 11p.m. Quebec offers the usual range of North American accommodations including hostels, chain motels, and high-end resort hotels. Particular to Quebec are Auberge, literally "Inn" but range from faux-lodge style motels to large B&Bs and Gites, guest houses, sometimes with only a single room for rent, and usually comperable to a smaller B&B. Quebec is generally a safe place, with the exception of a few bad neighbourhoods of Montreal and Quebec City. Visitors should use common sense when travelling, as they would anywhere else. There are very, very few places (if any) where a tourist will encounter violence or the usual tourist plagues such as pickpockets. Opportunistic theft (valuables left without surveillance, unlocked car doors, ...) is slightly more of a concern in some areas but tourists are no more subjected to it than are the locals. As a general rule, you are statistically as safe or safer than home when you're in Quebec. It is considered respectful to refer to Quebec citizens as Quebecers (Québécois) and not as French-Canadian, as the latter term can be seen as dated and/or having a political connotation. Quebec is home to the largest percentage of unmarried couples in the world (approximately 50% of French-speaking couples that met after 1980 are unmarried). This is a legacy of the Quiet Revolution, and Quebecers view this as totally normal. Commenting on this, referring to "illegitimate" or "out-of-wedlock" children, or assuming that a couple is married without them having mentioned it first can result in some offence. Note also that married couples keep their last names. Like in several Canadian provinces, it is officially prohibited to smoke inside public buildings, including restaurants, bars and theatres. It is also forbidden to smoke within a nine-metre (30-foot) perimeter of the doors to public buildings (there is often a visible line delineating this perimeter in front of hospitals, CLSCs, etc.) and it is forbidden to smoke anywhere on school property. Québec’s language is highly important to the province’s cultural identity, and its inhabitants identify with the struggle of several centuries to preserve it. Quebecers have heard it all when it comes to making fun of their linguistic particularities, so it’s best to avoid the topic. In Québec, "French from France" isn’t real French; on the contrary, it is associated with a foreign accent. Quebecers view it as an insult to be told they don’t speak "comprehensible" French, to be asked whether they can speak proper French, or to be referred to as a diminutive of France. Avoid this. Generally, expressing yourself in French is considered by Quebecers as a sign of cultural respect and is much appreciated. If your conversation partner switches to English, it should be taken as an invitation or a sign of expediency and not as an insult. A little bit of French goes a long way. Keep in mind that a good deal of Quebecers are unilingually French, much like residents of other parts of Canada are unilingually English. Many other Quebecers can understand, write, and read English, however, as they do not use the language on a regular basis, they understandably feel uncomfortable and awkward using it with a native speaker. A reticence to respond or continue a conversation in English should not be taken as being arrogant or ill-willed, and should simply be read as an expression of discomfort. Complimenting a Quebecer on their English can, despite intent, seem condescending and induce minor irritation. The issue of sovereignty is an extremely complicated, divisive and emotionally draining issue that is almost sure to cause hard feelings if you bring it up. To further complicate matters, there are innocuous local translations for the word "national(e)" that do not contemplate a sovereign nation-state: Residents who aren't souverainistes speak of Quebec as a nation with its own national parks, national assembly, and national capital without any political meaning. Although Quebec is part of Canada, you'll see fewer maple leaf flags, and the Quebec media outlets don't really emphasize connections with the ROC ("Rest of Canada"). In the end there are definitely more Quebec flags flying than maple leaf flags, sometimes with the Quebec flag at the highest point. Phrases like here in Canada or as a Canadian may make your conversational partner ill at ease. Depending of the region, very few people will celebrate Canada Day (July 1st) but Quebec's National (la Saint-Jean Baptiste on June 24th) is probably the most important party throughout the province. Note that Quebec is not France. Jokes about French stereotypes (Jerry Lewis, poor hygiene, eating frogs' legs, and especially "surrendering") will bring puzzled stares, or at best show that you have no idea which continent you're on. It is as illogical as applying British stereotypes to Americans just because of the historical and linguistic ties. Religious issues are more touchy in Quebec than in the rest of Canada. Until the Quiet Revolution of the 1960s, Quebec was strictly Roman Catholic; while census data still shows Quebec to be overwhelmingly Catholic, in reality, the vast majority of Quebecers are not religiously practicing. Atheism and agnosticism are extremely widespread, especially among younger people. Many Quebecers have a negative view of religion, and while open hostility over religious issues is rare, open expression will probably not be viewed well in mixed company. Non-Christian religions are practiced in Quebec and will not cause any issues in large cities, but overt public observance of some religions might occasionally attract negative attention outside of large cities. References to Quebec being a "Catholic province" should be avoided as well as this will make it look like you have no idea what century you're living in. A foreigner is unlikely to get as harsh a treatment as a local would, but it is still advisable to keep your religious opinions to yourself unless specifically invited to discuss them. Face veils: As of 2017, women who wear the niqab or burqa may not (in theory) use public services which includes public transportation, access tourist sites such as the Biodome, Olympic Stadium, nor gain access to hospitals amongst other things. However, enforcement has been inconsistent and the city of Montreal has stated they will not enforce this law. Most hotels and hostels offer internet access and many have onsite computers for guests to use. Montreal has a free WiFi program called Ile Sans Fil (Wireless Island), look for the sticker in cafe and restaurant windows. Pay phones are still widely available throughout the province, more so than in most other Canadian provinces and considerably more so than in the United States, due to most older Quebecers' preference for landlines over cell phones. Local calls are $0.50; for long distance calls, a prepaid long distance calling card is recommended as cash rates are extremely high. Ontario - West of Quebec, Canada's most populated Province and home to the country's capital. Newfoundland and Labrador - Located Northeast of Quebec, Canada's most northern province and nicknamed "The Rock" due to the lack or arable land. New Hampshire - South of Quebec, a state of the United States, known for its beautiful scenery, and ski resorts. Vermont - South of Quebec, a state of the United States, a popular destination for skiing and hiking. And the U.S.'s leading producer of maple syrup. New York - Southwest of Quebec, a state of the United States, home to the largest and most famous city in North America, New York City. Prince Edward Island - East of Quebec, the smallest providence in Canada. Nicknamed "Garden of the Gulf", due to its pastoral scenery and lush agricultural lands. Nova Scotia - Far East of Quebec, Canada's most densely populated providence. And is home to one of the oldest inhabited cities in North America, Halifax. This page was last edited on 27 February 2019, at 07:28.